Single Story Brick Home for Sale in Earlysville | 3762 Earlysville Rd. If you are yearning for the simple beauty and joy of country style living, then this lovely single story brick home is the one for you. The property is located at 3762 Earlysville Rd., Earlysville, VA 22936. It sits on 3.21 acres land sitting amidst the beautiful and lush country backdraft of Central Virginia. It features 3 bedrooms, a full sized bathroom, and an attached garage. Perfect especially for those looking to downsize. This gorgeous brick home for sale in Earlysville exudes beauty both inside and out. The brick exterior of the property wonderfully contrasts the breathtaking country scenery outside. As you step into the home, you will be greeted by a cozy living room with beautiful hardwood floors and fully bathed in natural light. The kitchen has a generous amount of working space and cabinetry plus all the basic amenities needed to make sumptuous meals for you and your family. The dining area is conveniently located right across the living room and can easily accommodate four people. Have family or friends coming over? Fit it with a modular expanding dining table and easily have six to eight guests dine-in. This Earlysville VA home features a master bedroom and two other bedrooms. If you have decided to downsize but would like to have ample space to accommodate family coming over to visit, this home definitely has what you need. The property also has a full sized bathroom equipped with a shower enclosure matched with a design that is pleasing to the senses. It also had a conveniently spaced home office which is perfect especially for those who need to work or manage their businesses from home. 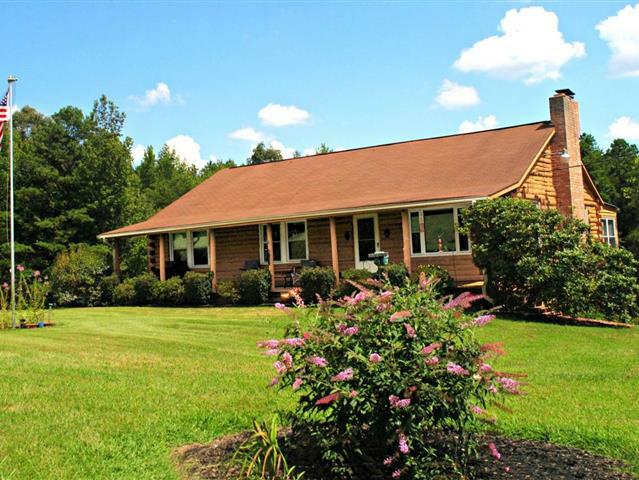 If you are in search for a home in Earlysville VA that offers the best of single level country living, then 3762 Earlysville is the perfect home for you. for more information about this property and other homes for sale in Central Virginia, please feel free to visit www.JumpIntoGreenerPastures.com. Stunning Horse Farm for Sale in Ruckersville VA | 408 Welsh Run Rd. Hunny Hill Farm is a beautifully remodeled horse-ready home where one can experience the best of country style living. The property sits on 18.5 acres of breathtaking lush green country landscape that both you and your horses will truly enjoy. This beautiful 2-storey home also features 4 bedrooms, 4 full bathrooms, and an oversized two car attached garage. This magnificent horse farm for sale in Ruckersville VA offers a lot of value in a convenient location as it is near shopping, the NGIC and DIA, Route 29, and is just a few minutes north of Charlottesville. Horse enthusiasts will surely fall in love with this property. All the space that you need to feel the freedom and rush of going on horseback, riding across 18.5 acres of gently rolling landscape can be found in this equestrian home. It also has the facilities needed for the care of your horses as it features a 3-stall stable, a run-in shed, and multiple pastures. The home itself is a sight to behold. It has a very classic country look; and the upgrades and additions done has made the home truly beautiful inside out. The main level features a cozy living room that has a fireplace to keep you and your family warm especially during the cold months. To the left of the foyer is a very spacious den that can serve either as a formal dining room or converted to a second master bedroom. The den also includes a fireplace and a full bath. The main level kitchen of this equestrian home for sale in Ruckersville VA is also very spacious and features solid surface counters, lots of oak cabinets, and a breakfast bar—lots of space for storage and for creating your culinary masterpieces! The over-sized master bedroom is found on the main level. This bedroom is as cozy as it is wide and bathed with lots of natural light. It also has an stunning attached full bathroom—one of the four found in this home. The three other bedrooms and another full bathroom are found upstairs. One of the great features found in this home is the finished terrace level. This section of the home has a very expansive recreation room, a second full kitchen, and another full bathroom. All the space that you would need to entertain both family and friends alike can be found in this wonderful horse farm in Ruckersville. Hunny Hill Farm has everything that anyone with a passion for horses can ask for―a beautiful family home surrounded by the natural beauty of Central Virginia and all the glorious space needed to live the excitement of the equestrian lifestyle. If you are in search of a wonderful equestrian home for you and your family, look no further, 408 Welsh Run Rd is the perfect one for you. For more information on this property and other horse farms for sale in and around Charlottesville VA, please feel free to visit, www.JumpIntoGreenerPastures.com. Owning a horse farm is a dream for any horse enthusiast especially for first time equestrians who wish to get immersed into the excitement and rush of the equestrian lifestyle. If you are looking to buy your very own horse property, this beautiful yet affordable horse farm for sale in Rapidan VA is the one for you! This 8.61 acre equestrian property was built in 2004 and is located at 8490 Rapidan Hunt Ln, Culpeper County, Rapidan, VA 22733. Reasonably priced and seated amidst a lush and breath taking country landscape, this turn key Virginia horse farm for sale is a sight to behold. From the porch, you can see the barn sitting upon a beautiful backdraft of green expanse. The barn is well constructed and has been made with great attention to detail. The barn features two box stalls, a brand new feedroom and opens onto a very spacious paddock. Your horses will surely get all the proper care and attention that they would ever need with these facilities. Just as beautiful as its surroundings, the home is newly painted and its condition is very close to brand new. As you enter, you will be greeted by a very spacious living room. It features hardwood floors that accentuates the classic yet homey feel of this living space. The home has an open floor plan design making it very easy to lay out any design that suites your taste without sacrificing space. It also features a generously spaced and gorgeous kitchen with oak cabinets and dining area which are conveniently right across each other. This one level home has 3 bedrooms and 2 bathrooms. The master bedroom is very spacious and has a beautifully designed attached master bath. One of the key attractions of this Virginia horse farm’s interior living space is its 12’ by 28’ sunroom. This room has a very airy design and is bathed with lots of natural light. This the perfect venue to spend a lot of great moments with family and friends for any occasion! If you are the avid equestrian who is looking for a wonderful Virginia horse property for sale that also offers the best of country style living, then 8490 Rapidan Hunt is an excellent choice for your next home! For more information about this listing and other horse farms or golf community properties for sale in and around Central Virginia, please feel free to visit my website, www.JumpIntoGreenerPastures.com. Call me, Pam Dent today at (434) 960-0161. Or send me an e-mail at [email protected] I have the professional and expert knowledge of the local housing market in Charlottesville and other parts of Central Virginia that will guide you through your journey of finding your dream home.